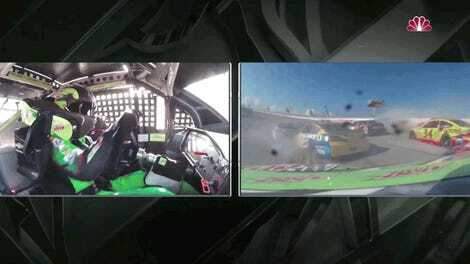 Finally, crash-tacular Talladega Superspeedway delivered a handful of exciting crash-free laps at the very end of today’s NASCAR Cup Series race. 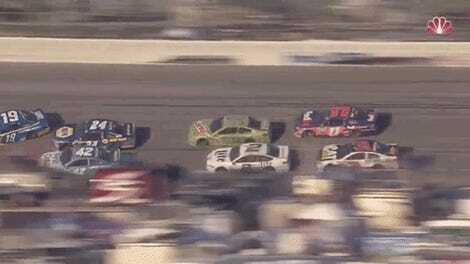 Only 14 cars survived until the very end of the race, with Brad Keselowski ultimately finishing out in front. The field went back to green-flag action with only three laps left, giving us a wonderful back-and-forth battle between Ryan Newman and Brad Keselowski for the lead. 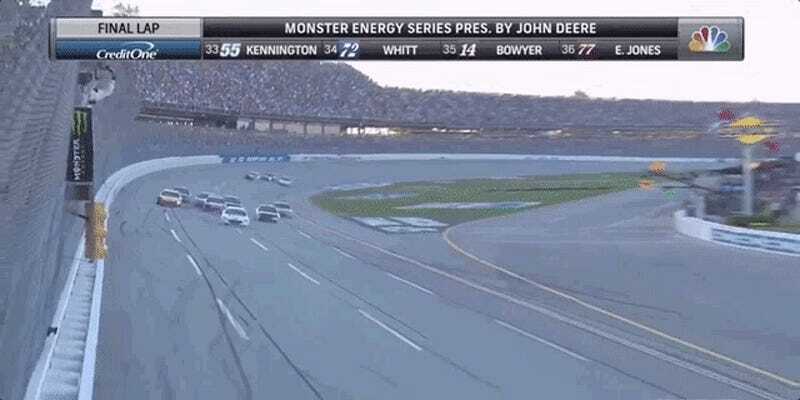 Keselowski was able to pop ahead on the final lap, though, which is all that matters. Fan favorite Dale Earnhardt Jr. was briefly in the mix at the end, drafting behind Keselowski’s No. 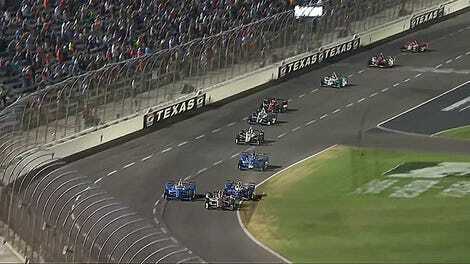 2 car on the restart, but soon fell back as cars got up to speed and spread out. Earnhardt finished seventh after a wild performance in which he fought back to the front of the field from two pit lane-related penalties early in the race, and then narrowly avoided every big, race-pausing crash late in the race. Still, only 14 cars of 40 starters were left racing at the end after a true war of attrition. Yikes. This is Keselowski’s 300th career start and 24th win. This win will advance him into the next round of the NASCAR Cup Series playoffs.